OUR TEAM EXPERIENCE IS WHAT SETS US APART FROM OTHER EMERGENCY RESTORATION COMPANIES. Hands on owners, both born and raised in Minnesota, that are involved in the daily operations and work along side the technicians. Full range of services that start with emergency mitigation: stopping the damage; ensuring all concerns and questions are answered, making ourselves available to help you with insurance concerns, securing your property, accessing and handling your home's contents, we can then utilize our 40+ years combined building experience to restore your property to its pre-loss condition or better. We take pride in providing services that are characterized as exceptional. Client referrals are a large contributor to our customer base. This lake home - on its own island, is located on the Northernmost Point of the lower 48 States. This project took an extraordinary amount of planning, effort, and TLC to accomplish. In order to reach this destination all equipment and material first had to cross the border into Canada, travel back into Minnesota, and finally take a 6 mile boat ride from the southern shore of the lake in MN. to the island. One of the first, most obvious concerns, that we had to consider was: how to get all the equipment and material to the island. We built an ice road from the shore to the island; a fair amount of consideration went into road maintenance throughout the project. This 5,000 sq. 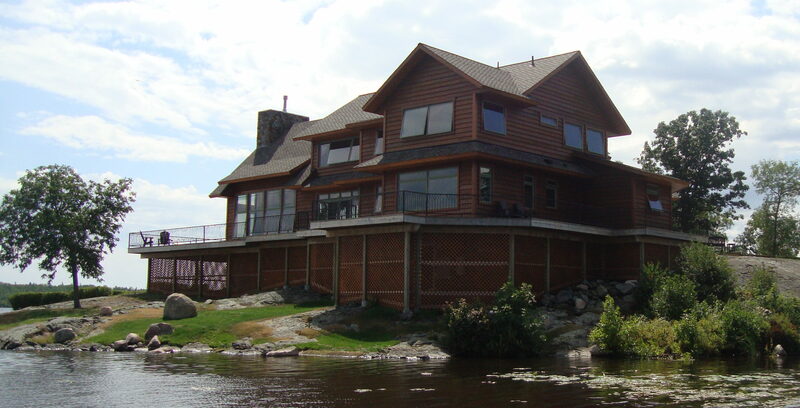 ft. lake home has 4,000 square feet of decking surrounding the entire structure. Siding is clear cut cedar (no knots) - custom milled in Oregon. All stone is natural stone from a quarry in Montana. Home has a private well and septic system. There is floor heating throughout. We are a local company. Whether you decide to go with us or not we will give you free, honest advice. If you experience a property loss, give us a call, and we will help explain the process. Our objective is to help you get the best use of your insurance dollars. We have owned a franchise in the industry before and believe that we could do a much better, more efficient job of utilizing your claim without paying franchise fees.